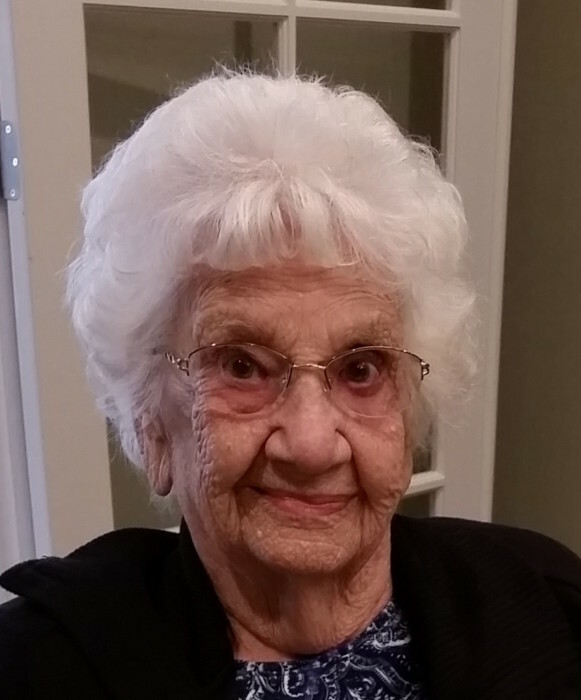 Irene Mary Anders, of Dugger, passed away at 1:20 A.M. on Monday, November 5, 2018, at Glenburn Home in Linton, two days following her 102nd birthday. She was born in Sullivan County on November 3, 1916, the daughter of Thomas & Nettie (Glaspie) Jerrels. Irene was a 75 year member of the Order of the Eastern Star of Sullivan. She was very active through the end of her life, enjoying time with her family and many friends. She is survived by her daughter, Carole Mason of Dugger, her granddaughter, Jeanna (Steve) Channel of Linton, a grandson, Bob Mason of Linton, her great-grandchildren, Savannah Mason of Indianapolis, Garrett Mason of Linton, Heather (Allen) Lee of Columbus, OH, and Constance (Nick) Rose of Odenton, MD, and four great-great granddaughters, Bethany, Nora, Kaitlyn, and Elise. She is preceded in death by her parents, her husband, Clifford Anders, a son-in-law, James Earl Mason, three brothers and two sisters. Funeral service will be held at Welch & Cornett Funeral Home in Linton at 1:00 P.M. Friday, November 9, 2018, with Brother Buford Smith officiating. Burial will follow in Dugger Cemetery. Visitation will be held at the funeral home on Thursday form 5-8 P.M., and Friday from 12 noon until the time of service. Memorial contributions can be made to the Greene Co. or Sullivan Co. Humane Societies, through the funeral home.